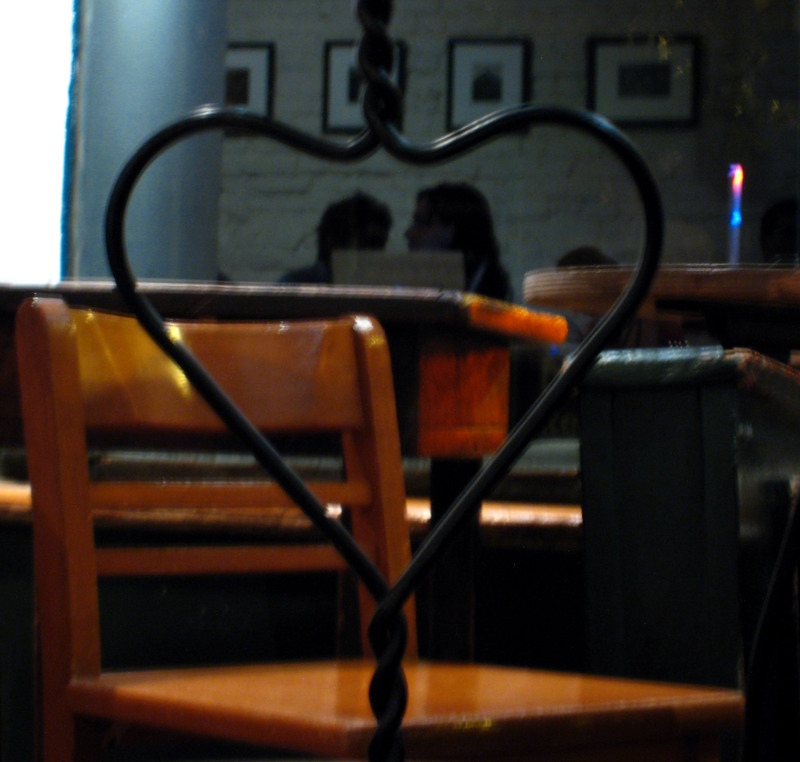 Heart in Doma coffee shop in NYC | Phlog That! ~ by Phlog That! on 2 July 2007. That is a wonderful chair (very symbolic). do you know what type they are? I can’t find them anywhere. Your picture has inspired me further to find them as I want to fill my house with things that represent my love to my partner (as your picture captures above).